Salary data from OES May 2014 Survey Program. The starting pay for technologists will range between $42,000 and $52,000. This level of compensation for radiology employees is generally covering employees with less than 3 years experience. Once you gain experience and knowledge in the medical facility you are employed through, you can expect a higher technologist salary. 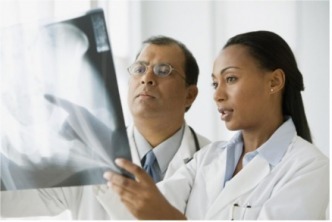 In 2008, the Bureau of Labor Statistics reported that radiologic technologists held almost 215,000 jobs. This number is expected to grow by 18 percent by the year 2018. With an increased demand, salary of new technologists are expected to go on the rise within the industry.